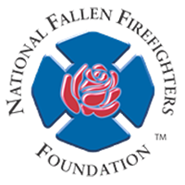 The Roanoke Valley Firefighter’s Foundation is a non‐profit, tax exempt, section 501(c)(3) charitable organization, that provides support to the families of fallen Fire‐EMS workers, who have died in the Line of Duty. The mission of the foundation is to help families rebuild their lives after a loved one’s passing. The Roanoke Valley Firefighters Foundation provides assistance to any Full‐Time, Part‐Time, and Volunteer Fire‐EMS provider who serves a public governmental agency in the Cities of Roanoke and Salem, Virginia and the Counties of Roanoke, Bedford, Botetourt and Franklin County, Virginia and all towns located within their boundaries. The Roanoke Valley Firefighters Foundation Board consists of active and retired Fire‐EMS providers from across the Roanoke Valley. The Board serves in a non‐compensated and voluntary capacity to carry out the mission of the foundation. The surviving spouse, life partner, children/step‐children (ages 17‐24) may apply for Scholarship Grants to provide financial assistance to any fully accredited university, college, technical or trade school for a maximum of 8 semesters. The surviving spouse, life partner, or named beneficiary may receive emergency financial assistance if a line of duty death falls under the Federal Public Safety Officer’s Benefit program and/or the Virginia Line of Duty Act guidelines. The foundation can provide financial assistance for the surviving spouse, life partner, children/step‐children, or immediate family member to attend any Virginia Local, State or National Memorial or Survivors Conference in which their loved one is being honored if not covered by the sponsoring agency. The foundation provides a “Spouse to Spouse” network to assist the surviving spouse and other family members who have just experienced a loss of a loved one in the Line of Duty. Someone to listen and lean on during this most difficult time, by another fire service spouse who has experienced a loss of a loved one also. The foundation can provide Clergy services to any family who may be in need. This Clergy has a fire service background and belongs to the Federation of Fire Chaplains (FFC). They understand the unique bonds among fire service families and their loved ones. Provides assistance to firefighters undergoing treatment for firefighter cancer. Firefighters are diagnosed with cancer at a higher rate than the general population. Workers compensation only covers certain cancers, this fund helps fill the gaps for those undergoing treatments. 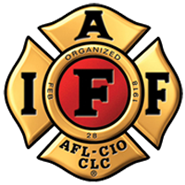 This fund provides training scholarships for firefighters to attend international training conferences to learn and bring back current firefighting techniques and practices.